Marama Arts began trading in 2013 under the name WaiNZ. Its aim was to provide products that are designed with authentic Maori artwork, designed by Maori. 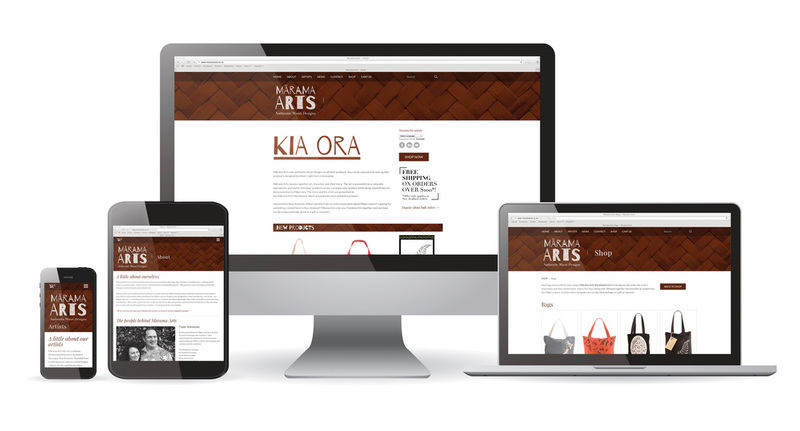 Seeking strategic direction for their brand and business, Marama Arts engaged the services of Platform Advertising to complete a full rebranding and determine an overall marketing plan. Initially we ran a branding workshop to extract the story of the brand and its key messages. We then developed a new brand to execute on its website, business cards, product cards and other collateral. Social media was also part of the marketing strategy, with pages and advertising set up on Facebook, Linked In and Google Plus. Our graphic designer created a memorable, distinct logo and brand that represents the business, its unique value propostion and allows for future growth into other areas.